Exclusive look at the creation of The Swan Princess nail wraps! "Far longer than forever, I'll hold you in my heart..."
It's been 23 years since Princess Odette and Prince Derek captivated audiences in the beloved animated film The Swan Princess. While the time passed and space between adulthood and childhood favorites took its course, the memory of The Swan Princess and countless times "being kind" by rewinding the VHS tape was always with us although we were far apart. Present day, Espionage Cosmetics and Lawless Entertainment team up to relive the feeling of joy that The Swan Princess franchise provides through nail art. Sounds time consuming. Doesn't it? Getting your favorite childhood flick on your nails. Nope! No nail polish here. On the contrary, nail wraps significantly cuts down on the amount of time needed to achieve the perfect manicure. Nail art and nostalgia are within reach with The Swan Princess nail wraps which are currently available for preorder. While it all seems so simplistic, there's much more to be said about these nail wraps which were designed in close collaboration with The Swan Princess team. If you take a look at their website, there is a strong appreciation for the art and traditional animation that was used for not only The Swan Princess but other animated films in the past. 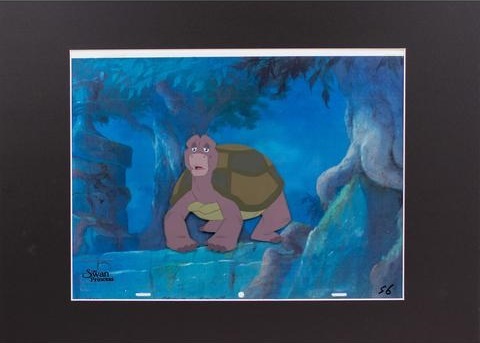 Animation cels, or celluloids, are transparent sheets which artists used to hand paint scene subjects on. Take the image above of Odette for example. Notice how there's no background. The cels which characters and scenes are painted are layered over static setting images to minimize the amount of time spent on redraws during production. This technique was patented by Earl Hurd in 1914. So now that we've had that brief history lesson, we're finally getting to the point: When it comes to the creation of Espionage Cosmetics nail wraps, the designs that resulted from The Swan Princess team up are the first of their kind. 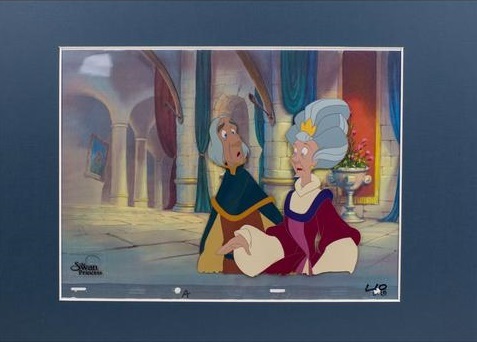 The graphics team incorporated the traditional animation style by use of animation cels provided by the team at The Swan Princess. You're not just wearing nail art; you're wearing film history. That alone is an exciting fashion statement. I love that it's the work from the animated movie as well rather than redesigned imagery. And the imagery chosen I think fits the best as far as conveying that it's the Swan Princess. No 90's girl wouldn't recognize what's on your nails. - Sarah Threet, Illustrator and Child of the '90s.